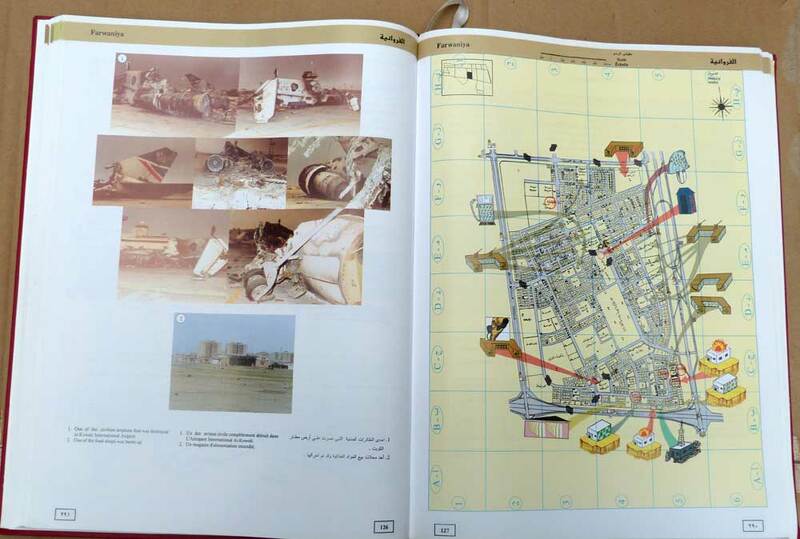 Barter Books : Al-Hammadi, Abdullah M; Al-Abdalrazaq, Abdulateef : Atlas of Iraqi War Crimes in the State of Kuwait. / Atlas des Crimes de Geurre Iraqienne dans l'Etat du Koweit. 370 x 280 mm (15 x 11 inches) - 414pp. G : in Good condition without dust jacket. Light rubbing to boards. Spine lean and warping to boards.